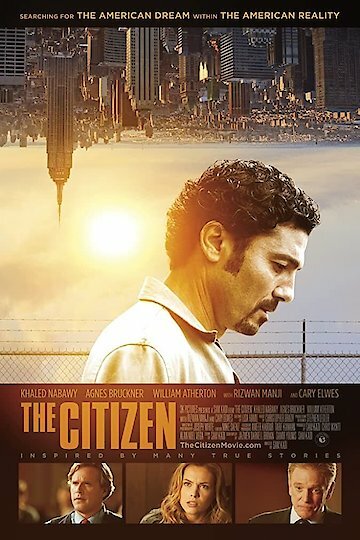 The Citizen tells the story of Ibraham, an Arabic immigrant who succeeds in getting his Green Card, through the Green Card Lottery, and happily arrives in the New York City, on September 10, 2001, only one day before the September 11th terrorist attack which destroyed the twin towers in New York City. He thinks his days of misfortune are over, as he happily informs immigration officials at the airport. Arab immigrants face many challenges in adapting to the mainstream culture in the USA, and Ibraham additionally has to face many more problems and even more prejudice resulting from the terrorist attack on September 11. All he wanted was to get a chance at the American Dream, and what he found was lack of tolerance for his immigrant status, and many problems. He experiences many misfortunes, all drawn from real life experiences of Arabic immigrants. Ibraham remains positive, resolving to plant good deeds, in order to reap success, despite repeated setbacks. He remains courageous and persists in trying to achieve his American dream. This movie is was named among the 10 best films of 2013 by Examiner.com. The PG-13 rating is due to profanity, flirting in English class, and terrorist violence. The Citizen is currently available to watch and stream, download, buy on demand at Amazon Prime, Amazon, Vudu, FandangoNow, iTunes, YouTube VOD online.